Set for its 4th annual running as fall is getting started here in the “Queen City,” the Race 13.1 Charlotte Half Marathon will unfold along a course made up of both residential city streets and portions of the city’s Four Mile Creek and McAlpine Creek Greenways, with beautiful autumn colors on the trees for much of the way. The race starts and finishes a Toringdon, a large mixed use development in the Ballentyne area of Charlotte. Runners will enjoy the benefits of ample parking steps away from the start and finish line and numerous prime locations for friends and family to spectate. Within less than 100 yards of the start and finish area, runners will find an Earth Fare grocery store along with numerous restaurants and shops, providing lots of great entertainment options after the race. Once they kick off the race there, runners will head east along Endhaven Road past the Endhaven Elementary School, and then turn onto Elm Lane. A long stretch on Elm is followed by a turn onto the Four Mile Creek Greenway, a beautiful tree-lined running and walking trail that runs alongside a creek. Runners will continue on the greenway until it turns into the McAlpine Creek Greenway, which they’ll follow until they exit onto Five Cedars Road, starting a stretch that will proceed through quaint, charming residential areas. The final few miles of the course bring runners back onto the McAlpine Creek Greenway until they exit onto Johnston Road and return to the race finish at Toringdon. The course is primarily flat with a few rolling hills and is complemented by ample shade which should make runners feel especially cool. A flat and shady course should set many runners up for a PR and a great day. Located in central North Carolina, a short drive from the state’s border with South Carolina, Charlotte typically sees mild fall temperatures this time of year. On the day of the race (Sept. 22), the average low is 61°F and the average high is 81°F. See the race route map for the Race 13.1 Charlotte Half Marathon here. 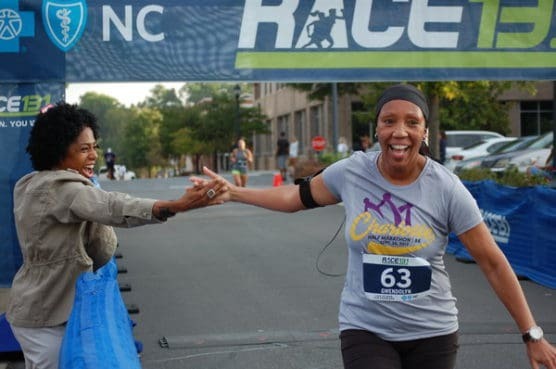 To reserve your spot in the 2018 running of Race 13.1 Charlotte Half Marathon or 8K race, register online at the event website here. 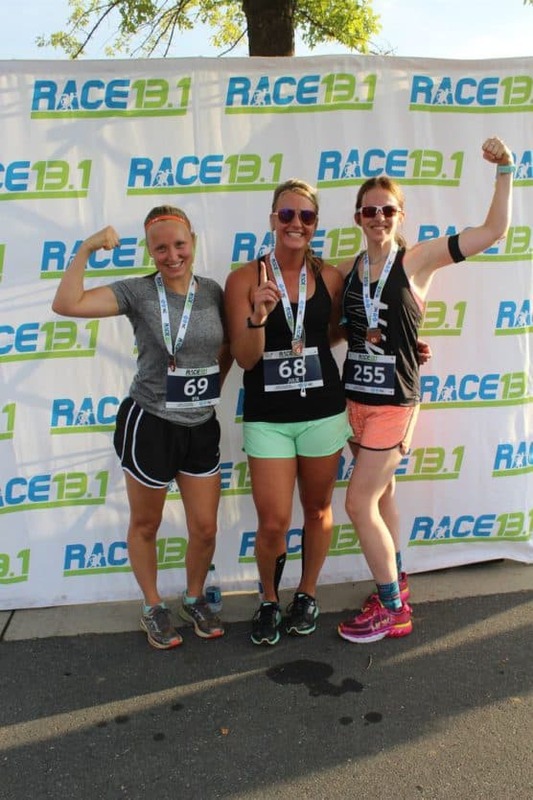 Ever run in the Race 13.1 Charlotte Half? Share your impressions here, or post your review in the Comments below.